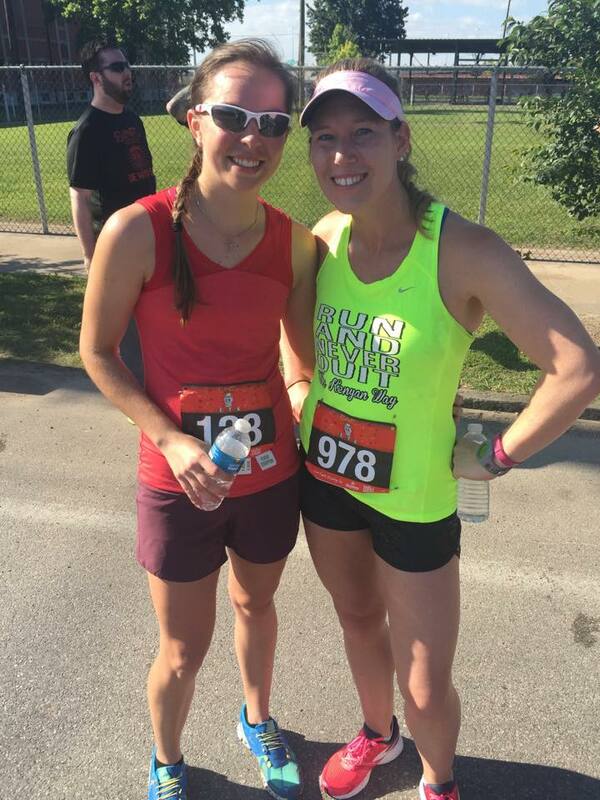 Recovering from injury and finding full body awareness – Loving life on the run. I’ve been an athlete most of my life. And most of my life I’ve been healthy and I learned to push through painful, tough training. Injury was just never present, until this past December. I tried to ignore it, the nagging pain in my heel when I woke up. I tried to chalk it up to soreness from wearing heels at holiday parties or not being used to the cold weather in Chicago where I spent Christmas. The pain did eventually go away, and I just let it go without explanation or treatment so I could get through the Houston Marathon. I didn’t just get through the Houston Marathon, I had a great (and mostly pain free) race! It wasn’t long after that the pain came back full throttle and I finally had to admit to myself that it was planters fasciitis. With the Austin Half Marathon in the near horizon, I knew I needed to seek treatment. While the Airrosti treatment was one of the most painful experiences of my life, it worked. Especially coupled with the PT exercises I was given. In so much pain, but still smiling! Fast forward three months, and the pain came back. Why? Simple, laziness. I stopped doing my homework and the pain came back. This past week, after running a 5K and limping after I crossed the finish line, I decided to go back to Airrosti for treatment AND I had the amazing opportunity to work with Sarah Gingrich, a yoga anatomy expert as part of my yoga teacher training at BIG Power Yoga. The combination of these two philosophies truly reinforced the notion that my body is sacred and I need to do the work, without cutting corners. So grateful to have worked with Sarah Gingrich this weekend. 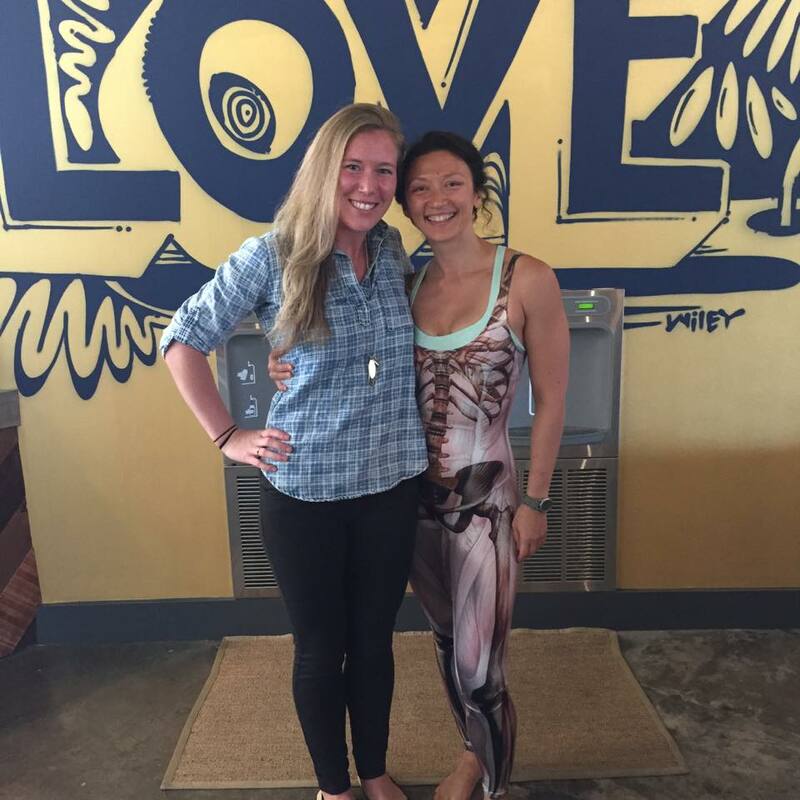 Yoga anatomy expert + awesome onzie wearer. – Everything in my body (and mind) is connected. – My injury is a result of repetitive action and lack of care (both of which can completely be remedied BTW). – I’m not using all of my muscles! My Airrosti doctor discovered this on Wednesday and my yoga teacher further confirmed it this weekend. I rely on the muscles I know are strong because of my history as an athlete. The muscles I need to start using are currently being ignored…and guess what? They make the work (yoga & running) easier! 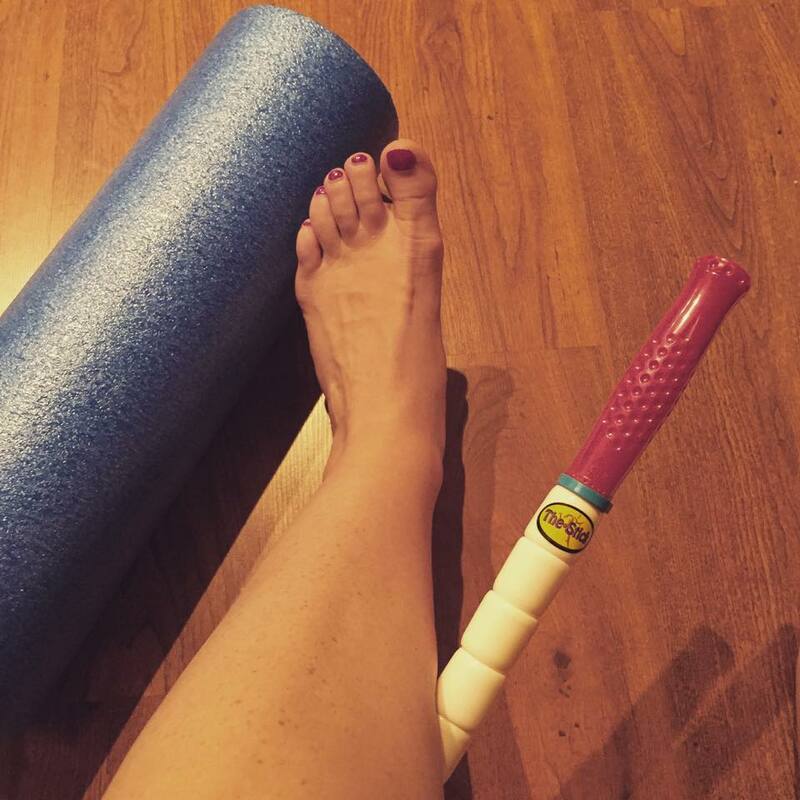 – I have the tools to correct my injury and become stronger–Foam rolling and The Stick are two spectacular tools to release muscle tension and fascia. For me this is manifested in my calves (my hips and shoulders also hold a ton of tension which I’m learning to release through proper posture a.k.a. True North Alignment in Baptiste Yoga). I’m still not there yet, but I’m completely optimistic that recovery is on its way. I’m learning to engage muscles that I didn’t know existed and release tension in the ones where I hold stress. I’m excited to continue this journey of true body awareness and am looking forward to injury-free days once more!